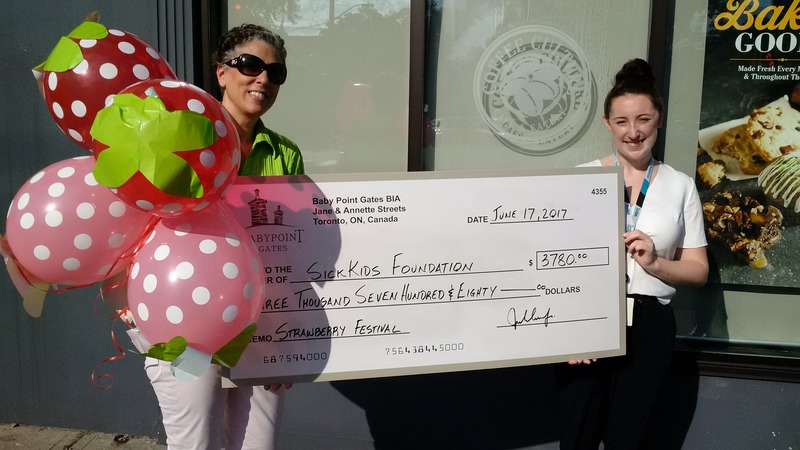 2017 Charity Strawberry Fest Raised $3,780 in support of SickKids Yeah!!! - Baby Point Gates B.I.A. 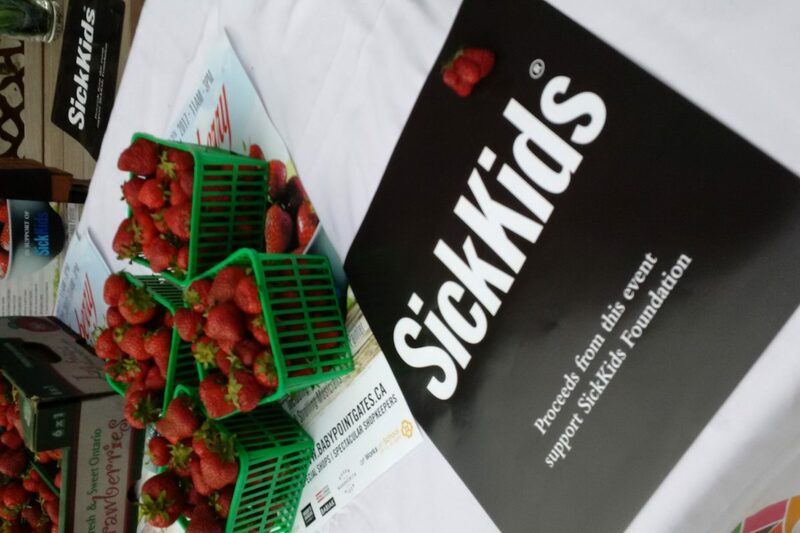 Home > Events > 2017 Charity Strawberry Fest Raised $3,780 in support of SickKids Yeah!!! Thanks to our special Baby Points community for participating in our Charity Strawberry Fest in support of SickKids! Because of your support, we raised a grand total of $3,780!!!! Thanks too to our spectacular shop owners who generously made delicious strawberry treats for all to enjoy and the Baby Point BIA who donated all proceeds from the sale of strawberries.